This novel has two narrative threads. In the first, told in the past tense, the somewhat prudish Molly, trapped in a loveless marriage, attempts to turn her new neighbours in the Close into a surrogate for the loving family she has never had. The second thread, told in the present tense, picks up years later, after the Close Set has dispersed. Molly struggles to deal with their growing estrangement. The narrative gradually reveals why the perfect world Molly so desperately wanted was impossible. Molly is a lover of Jane Austen, and, in some ways, although this is set in the eighties, this feels like a 19th century novel. The writing is excellent, as are the characterisations, mostly. Initially, it was very daunting to meet the Close Set. They were all fleshed out very well, but some made a more immediate impression than others as each couple paraded out to be introduced. However, as the book progressed, this fog of names dissipates and you get to know them intimately. Molly herself is very well drawn and entirely believable. It is an excellent novel, and yet I never quite connected with it emotionally. The crises of the past were very much ‘told’ while the present thread, for me, lacked crisis. Though Molly dabbles in other people’s lives, she never makes a dramatic decision about her own. Circumstances choose for her. The characters outside the Close Set don’t really pull their narrative weight. Also, I wasn’t convinced by the reason Molly was writing all this down. The author plays a dangerous game with the reader by depending on revelation to drive the drama. Some of these revelations, the ones where we share the discovery with Molly, are very effective. I liked when Molly was forced to rethink her interpretation of past events. But, there is also a certain revelation where Molly already has the answer, and she holds it back from the reader for no obvious good reason. It distanced me emotionally from the narrative. Despite these quibbles, I still absolutely recommend this book to lovers of good literature. 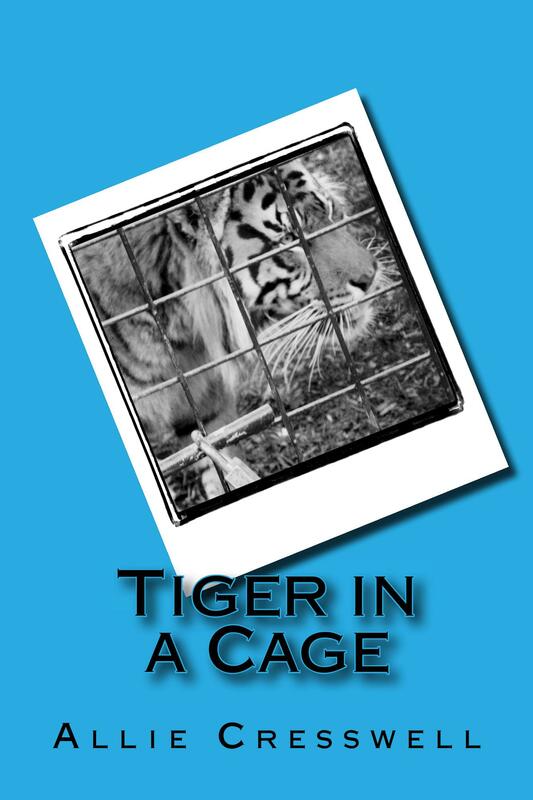 I received a copy of Tiger In A Cage for an honest review. This entry was posted in Review and tagged AllieCresswell, Tiger In A Cage on October 15, 2014 by photocosmic.